Since its emergence in the early 1990s as marketing’s newest paradigm or school of thought, research in the area of relationship marketing has been proliferating. From the customer’s perspective, initial attempts to become lifelong partners with key sellers or suppliers were appealing. However, as these propositions multiply in number and carry with them increasing burdens in terms of time and commitment, customers are reticent to enter into long-lasting relationships with all sellers. In this paper, we consider relationship formation from the customers’ perspective and examine the antecedents to a customer’s preference for a relational exchange orientation versus a transactional exchange orientation. Our belief is that, depending upon a set of contextual factors surrounding the exchange, customers will opt for a relational orientation with suppliers in some cases and for a more transactional orientation in others. Research in the area of relationship marketing has been proliferating since its emergence as a school of thought in the early 1990s. Scholars have expounded on the value of firms adopting a long-term customer orientation and the resulting positive impact on business performance (Anderson & Narus, 1991; Dwyer, Schurr, & Oh, 1987; Heide & John, 1992; Macneil, 1980; Sheth & Parvatiyar, 1993). Similarly, the implementation of relationship marketing through customer relationship management practices has resulted in an ever-increasing number of organizations attempting to measure the value of their customer relationships. While the majority of research has concluded that forging long-term relationships with customers is beneficial to organizations (Frazier, Spekman, & O’Neal, 1988), exactly the choice of which customers to forge relationships with requires an in-depth analysis of the lifetime value of that customer, taking into consideration the costs to serve that customer over this timeframe (Blattberg, Getz, & Thomas, 2001). Such an analysis enables companies to determine which customers are the best to keep, nurture, and grow and which ones could effectively be lost to competitors or outsourced to a third party. In other words, since all customers are not equal, forging long-term relationships with all of them is both strategically unwise and tactically impossible (Madhavan, Shah, & Grover, 1994). From the customer’s perspective, initial overtures to become lifelong partners with key sellers or suppliers were enthusiastically accepted. However, as these propositions multiply in number and carry with them increasing costs in terms of time and commitment, customers are becoming reticent to enter into long-lasting relationships with even key suppliers. Unless the relationship entry hurdles are lowered and the resulting outcome of forming long-term relation-ships is quantified and we believe many customers would prefer simple transactions to complex relationships. In this paper, we consider relationship formation from the customers’ perspective and examine the antecedents to a customer’s preference for a relational exchange orientation versus a transactional exchange orientation. Our belief is that, depending upon a set of contextual factors surrounding the exchange, customers will opt for a relational orientation with suppliers in some cases and for a more transactional orientation in others. 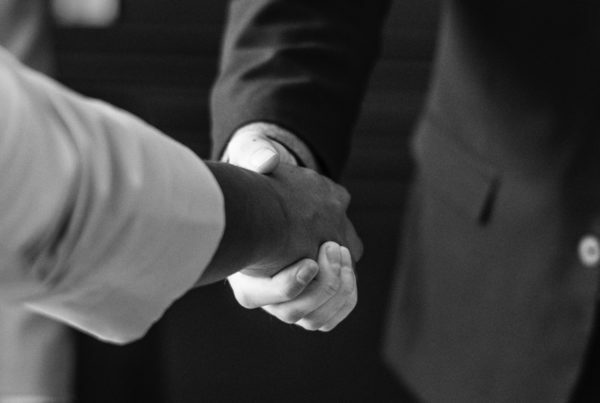 We consider relational exchange to encompass long-term commitments to the supplier by the customer and the desire for collaboration in the exchange process. In contrast, we characterize transactional exchange by its short-term nature or by one-time exchange, with no commitment by customers per se beyond the limited interaction. Our paper considers the key industry, organizational, and product level factors or antecedents that drive a customer to favor relational over transactional exchange with suppliers. When these antecedents are not present, we contend that customers will opt for exchanges with suppliers that are more transaction oriented. We outline these antecedents below and then discuss implications for suppliers. Researchers in marketing have extended Macneil’s (1980) distinction between discrete transactional exchange versus relational exchange. In their seminal piece on developing buyer – seller relationships, Dwyer et al. (1987) de-scribe discreteness as a situation where the transaction is separated from everything else between the participants. Such discrete transactions are characterized by a narrow content and focus and very little communications between exchange parties. Typically, transactional exchange involves single short-term events, which have a distinct beginning and end (Dwyer et al., 1987). Further, transactional exchanges are characterized by small investments by both buyers and sellers, low switching costs, and sometimes conflicting buyer – seller goals. Moreover, the purpose of the exchange tends to be low in strategic emphasis and more economic in nature. In terms of outcomes, buyers and sellers are concerned only with the offer and acceptance (Gundlach & Murphy, 1993). Dwyer et al. (1987) contend that in such cases, the identity of the parties involved must be ignored; otherwise, a buyer –seller relation would develop. Examples of this type of exchange include business-to-business reverse auctions, consulting services, or merger and acquisition services. Essentially, these are independent purchases of products or services that can be repeated with little emphasis on previous exchanges. Relational exchange, on the other hand, transpires over a period of time, and exchange participants are expected to derive complex, personal, noneconomic gains and to communicate through social exchange. Such exchange involves transactions linked together over an extended time frame and has to be considered in terms of its history and its anticipated future (Dwyer et al., 1987). Relational exchanges are typified by large investments by both buyer and seller, high switching costs, and extended duration. The purpose of the exchange is broad, with a mix of both economic and social elements and a strong strategic emphasis. Relational partners are involved in a complex network of operational and social interdependence where organizational boundaries blur as a result of converging goals. Here, the desired partnership outcomes comprise more than simple offer– acceptance transactions (Gundlach & Murphy, 1993). Also, the establishment of a strong customer franchise or a reliable team of suppliers is the characteristic of relational exchange (Dwyer et al., 1987). Examples of this type of exchange include key account management, preferred supplier programs such as those formed between IBM and Intel, or those relationships that originate from sellers who provide multiple or bundled products or services. Thus, relational exchange concerns itself with long-term value exchanges. It also goes beyond the basic notions of customer satisfaction and retention by ensuring the integration of buyer and seller, achieved through linkages at various levels (Kotler, 1992). The close and long-term relationships established between buyers and sellers enhance both structural and social bonding or integration between partners, which results in substantial barriers to outside competition (Turnbull & Wilson, 1989). Viewed in this manner, relational exchange is a means through which the behavior of buyer and seller choice is constrained through the trust and commitment that develops between the two (Morgan & Hunt, 1994). By reducing or eliminating each partner’s desire for another supplier or customer, firms create market monopolies of choice. We explore a customer’s decision to adopt a relational orientation or a transactional orientation with its suppliers by describing the conditions under which each orientation will be more of less prevalent. In doing so, we identify a number of antecedents that are likely to determine a customer’s relational orientation. These are reviewed in the next section. The degree of concentration of competition in a customer’s industry is hypothesized to impact its exchange orientation. We contend that as a customer’s buying power increases due to its industry concentration, customers will be more inclined to favor a relational orientation in its exchanges with suppliers. In line with the views presented by Porter (1998), customer power can also be strong if customers are buying in large volumes or through the creation of cooperatives. The goal for the customer is to eliminate possible channel intermediaries in a desire to gain more attention and engagement from supplier partners. For a customer, the drive to form a relationship with a supplier may be also be driven by the motivation to block access to key supplier resources by new entrants and to lock in supplier capacity. From the supplier side, a close and enduring relationship with customers may enable sellers to exercise indirect control over potential competitors by keeping them out of particular markets (Lewis, 2002). Therefore, the greater the customer industry concentration and power and the more it resembles an oligopolistic structure, the more likely is the desire by the customer to form long-term relationships with suppliers. This proposition is nonintuitive since the belief is that as power increases, customers may believe they have the upper hand and will tend to be more confrontational. In reality, due to the asymmetry in power between suppliers and customers, suppliers are not viewed as a threat to customers and can add tremendous value through partnering relationships. This is especially true if the supplier industry is highly fragmented and the customer industry is highly concentrated. Examples of this type of relational exchange include relationships between automobile, appliance, and aerospace OEM manufacturers and their key suppliers and in the retail space with relationships between large customers like WalMart and suppliers like P&G. We do believe that if the customer industry is a government monoply such as defense or it is a regulated monoply such as electric utilities, it is less likely to assume a relational orientation and more likely to assume a captive relationship. The culture of decision making within an organization will also determine its exchange orientation with suppliers (Webster & Wind, 1972). When procurement decisions are largely based on specifications and vendor reputation, much of the choice of supplier rests with the technical staff or the engineering group within the customer firm. The goal for this group is to obtain product that meets highly specific needs, and supplier decisions are typically based on precise research around potential suppliers (Jackson, 1985). Under such strategic procurement conditions where perceived quality is critical, price is not likely to be a major consideration. An example of this can be found when customers such as IBM or HP are concerned with sourcing strategic components, and only a handful of companies such as Intel and AMD represent technically sophisticated suppliers. In contrast, when procurement decisions are largely price driven, they are often relegated to a procurement department, and the desire for a relational orientation with suppliers decreases. Procurement executives do not necessarily have the vested interest in a specific vendor so long as they are meeting the specifications for purchase. The goal for this department is to meet internal customer needs by getting the most value for the best price. If another supplier presents itself and offers parity product at a lower price, there will be no a hesitation to switch. Typically, the type of products that are sourced based on price are nonstrategic to the firm and may be considered commodities. In the same IBM example, the purchase of office supplies and the selection of office supply vendors may be based largely on price and can be handled strictly by nontechnical purchasing personnel. Companies like Staples, Office Max, Office Depot, and Officeworld.com may all be considered equal potential vendors. The structure of decision making for key supplies will also determine the degree to which customers prefer a transactional versus a relational orientation in dealing with suppliers (Sheth, 1976). In some companies, procurement-related decision making resides within a multifunctional group or committee, and in other companies, individual departments or employees hold sole responsibility for supplier choice. The former is more prevalent where multifunctional teams are responsible for product development and deployment and where multiple stakeholders’ interests must be simultaneously taken into consideration. In contrast, the latter is more characteristic of single-product firms where cross-functional integration is less prevalent. We postulate that in organizations where decision making regarding key input resources is made by a cross-functional group or where an entire unit of decision makers are involved, the preference for a relational orientation will be prevalent (Ruekert & Walker, 1987). This is largely due to the complexity of the decision-making process and the need for increased coordination between buyer and supplier firms. Particularly, as is seen in semipublic enterprises (e.g., government and nonprofit organizations), policy often dictates that the procurement decision-making process remains in the hands of a committee and cannot be delegated to one person—regardless of the nature of the product. In such cases, when multiple stakeholders are involved, decision making becomes more diffused, takes more time, and requires stronger collaboration between customers and sup-pliers. Therefore, once a relationship between supplier and customer becomes established in a multistakeholder environment, it is difficult for other suppliers to break through. In other words, entry barriers for new suppliers are quite high. Organizations, like individuals, vary in terms of their tolerance for risk and their propensity to take risks. These risks often manifest themselves in the context of strategic business decisions such as which businesses to enter and exit and with whom to do business. If there is uncertainty about a supplier’s performance or the performance of a supplier’s products, such risk may carry with it physical or social costs to decision makers (Jackson, 1985). Often, such decisions surrounding risk translate into direct monetary outcomes where tolerance for risk declines as the monetary value of exchange increases (Sheth, 1973). This type of risk has direct economic consequences. Customers are motivated to enter into long-term relationships with suppliers because they perceive that they can enhance their own legitimacy and competitive position by associating with key ‘‘elite’’ suppliers. This is one way to reduce the risk associated with doing business since suppliers are known and well reputed (Cannon & Narayandas, 2000). The motivation to reduce risk in this way is supported by institutional analysis theory (Zucker, 1987), which deals with normative pressures that motivate long-term relation-ships. For example, a distributor in a particular industry might find legitimacy in being certified by a major manufacturer and might actively pursue a close relationship with that supplier. An example of this might be dealers and distributors that are associated with companies such as Cisco, GE, or IBM—all industry leaders. The nature of the purchase will impact a customer’s preference for one type of exchange orientation over another. While the type of product and type of buying situation have been identified as important factors to consider (Sheth, 1973), we contend that the degree of prepurchase planning and deliberation required in addition to any after-sale support and service needed, regardless of product type or buying situation, is even more critical determinants of orientation preference to suppliers. In situations where factors such as presale deliberation, customer education, installation, maintenance, and ongoing operational support are required before or after the sale, the likelihood that customers will prefer a relational orientation over a transactional orientation is high. In many cases, these additional support services are built into the price of goods. Since the search costs involved with finding a different supplier of after-sales service and support often outweigh their benefits, customers are willing to pay an additional amount for these services for the convenience and peace of mind they bring. Such services, if provided by the supplier of goods, provide a highly seamless exchange between buyers and sellers over time and provide the customer with the most knowledgeable and competent after-sales support personnel. Examples of this include construction projects involving the development of new plants and infrastructure for manufacturing companies and in industries such as oil emulsification where customers need suppliers throughout all phases of the buying process. Buyers and sellers often enter into relationships in order to improve their input/output ratios or to increase efficiency. This motivation emphasizes an exchange orientation that achieves efficiency through a reduction in transaction costs. The transaction cost perspective argues that to minimize the costs associated with doing business, companies can organize themselves in a way that reduces the costs associated with conducting specific transactions (Williamson, 1975). Long-term exchange relationships are hybrids between markets and hierarchies and are preferred over short-term exchange when the costs of doing business or the transaction costs are high. In an attempt to minimize transaction costs, organizations may outsource activities that are not central to their core business in order to focus on their core competencies and to realize efficiencies from outsourcing. In most cases, processes that are outsourced are those that are highly repetitious, where minimal in-house experience curve effects lead to higher costs if done in house. Moreover, the nature of the business that is outsourced often includes unique processes, such that the highest levels of efficiencies are realized with limited or sole suppliers (Oliver, 1990). This type of outsourcing usually results in a reduction in the number of suppliers who are chosen and a desire to develop a greater relational orientation with these key suppliers. When specific parts of the business are outsourced, customers may become locked into one supplier or a small set of suppliers due to specific technology linkages or to integrated infrastructure between buyers and sellers. The costs of exiting such relationships are very high, sometimes prohibitively so. Examples of this type of relational ex-change include the relationship between Regional Bell Operating Companies and the former Lucent Technologies or between Kroger and NCR for its point of sale terminals, and IBM and its mainframe customers. Our argument for considering key contextual factors of relational and transactional exchange has important implications for suppliers as they attempt to forge relationships with customers. In the following section, we consider these implications and provide advice to suppliers. As we have outlined, under specific conditions and situations, customers are more willing to engage in long-term relational exchange with suppliers than in others. Since not all customers want to forge long-term relationships with suppliers, it is critical that suppliers segment their markets and customers along an exchange continuum—with transactional exchange and relational exchange as anchors. By knowing that some customers, under certain conditions, will be more amenable to relational exchange, sup-pliers should invest in relational exchange selectively and alter their value propositions to customers accordingly. Such a segmentation exercise results in two outcomes for suppliers: lower waste of time and money by not engaging in relational activities that are unwarranted; and stronger bonds with those customers who are willing to invest in these relationships themselves. The key is to achieve reciprocity between buying and selling with the implicit understanding that suppliers should commit only if they are certain that buyers are also willing to commit. In determining how to capitalize upon relational ex-change, suppliers should focus on specific vertical markets where relational exchange is the norm over those markets where it is not. For example, suppliers may focus their relational exchange efforts when strategic components and key parts are involved and revert to transactional exchange when routine supplies or low-price low-risk items are being purchased. When suppliers know that customers prefer relational exchange, suppliers need to take measures to reinforce customers’ preferences for a relational approach. For example, suppliers can become a valuable resource to customers in product and market development. Moreover, under the condition where customers generally favor relational exchange, suppliers can help shape the expectations of uncertain customers and outline the benefits of relational exchange to both parties. Marketing has long emphasized the importance of developing long-term relationships with customers. However, how close can suppliers really get to customers, in what situations, and for how long? In a number of cases, customers will prefer exchange that is more transactional in nature in order to keep options open and to remain flexible for the long term. In addition, the customer’s industry structure, decision-making culture, and risk tolerance will also impact the customers’ exchange orientation preference. Finally, the nature of the purchase and the costs involved have also been identified as key determinants. Keeping this customer orientation preference in mind, suppliers must adjust their approach in marketing to customers so that mutuality and reciprocity in exchange are achieved. Anderson, J. C., & Narus, J. A. (1991, Spring). Partnering as a focused market strategy. California Management Review, 95 – 113. Blattberg, R., Getz, G., & Thomas, J. (2001). Customer equity. Cambridge: Harvard Business School Press. Cannon, J. P., & Narayandas, N. (2000). Relationship marketing and key account management. In J. N. Sheth, & A. Parvatiyar (Eds. ), Handbook of relationship marketing (pp. 407 – 430). Thousand Oaks, CA: Sage Publications. Dwyer, R. F., Schurr, P. H., & Oh, S. (1987, April). Developing buyer – seller relationships. Journal of Marketing, 51, 11 – 27. Frazier, G. L., Spekman, R. E., & O’Neal, C. R. (1988, October). Just in time exchange relationships in industrial markets. Journal of Marketing, 52, 52 – 67. Gundlach, G. T., & Murphy, P. E. (1993, October). Ethical and legal foun-dations of relationship marketing. Journal of Marketing, 57, 35 – 46. Heide, J. B., & John, G. (1992, April). Do norms matter in marketing relationships? Journal of Marketing, 56, 32 – 44. Jackson, B. B. (1985, November – December). Build customer relationships that last. Harvard Business Review, 120 – 128. Kotler, P. (1992, September – October). Marketing’s new paradigm: What’s really happening out there. Planning Review (special issue) 50 – 52. Lewis, J. D. (2002). Trusted partners: How companies build mutual trust and win together. New York: Free Press. Macneil, I. R. (1980). The new social contract: An inquiry into modern contractual relations. New Haven: Yale University Press. Madhavan, R., Shah, R. H., & Grover, R. (1994). Motivations for and theoretical foundations of relationship marketing. AMA Winter Educa-tor’s Conference Proceedings, 183 – 190. Morgan, R. M., & Hunt, S. D. (1994). The commitment – trust theory of relationship marketing. Journal of Marketing, 58, 20 – 38. Oliver, C. (1990). Determinants of interorganizational relationships: Inte-gration and future directions. Academy of Management Review, 15(2), 241 – 265. Porter, M. E. (1998). Competitive strategy: Techniques for analyzing in-dustries and competitor. Free Press. Ruekert, R. W., & Walker Jr., O. C. (1987). Interactions between marketing and R&D departments in implementing different business strategies. Strategic Management Journal, 8, 233 – 248. Sheth, J. N. (1973, October). A model of industrial buying behavior. Jour-nal of Marketing, 37, 50 – 56. Sheth, J. N. (1976). Buyer – seller interaction: A conceptual framework. In B. Anderson (Ed. ), Advances in Consumer Research, vol. 3B, (pp. 382 – 386). Sheth, J. N., Parvatiyar, A. (1993, May 22 – 25). The evolution of relation-ship marketing. Paper presented at the 6th Conference on Historical Thought in Marketing, Atlanta. Webster, F. E., & Wind, Y. (1972, April). A general model for understand-ing organizational buying behavior. Journal of Marketing, 36, 12 – 19. Zucker, L. G. (1987). Institutional theories of organization. Annual Review of Sociology, 13, 443 – 464.